Ready to Grow Stronger, Longer, Healthier Hair? By studying & researching home remedies for hair growth & thickness, from across the world, we distilled the most popular hair growth ingredients & combined them for this unique, highly acclaimed shampoo. Anagen, Telogen, Catagen–Growth phases you must understand and take action at the exact times to retain full hair growth! Find out how to awaken the sleeping phase of a follicle before it’s too late! By using an organic approach, GrowOut Shampoo & Strengthener delivers unsurpassed strength & shine while restoring the scalp’s natural pH balance, with a first-time-ever enhancing array of nutrition aimed at enhancing each hair’s growth center…its follicle! As many cultures swear by their “growth ingredient,” Belegenza has combined the active molecules from MANY cultures. By amplifying each ingredient’s effectiveness in a never-before synergistic “potion,” each culture’s advantageous ingredient is working with the synergy of supplemental ingredients that work beyond expectations…. for everyone! If you are “fill-in-the-blank” culture, all you need is some still active follicles. In other words, if your complete head is slick and bald, this is not for you. If you still have active follicles, now is your chance! AND, with such a complete array of ingredients, it’s even more appropriate for those with mixed genetics. The first thing that happens the moment you start shampooing is that you are removing chemical residue left behind by conventional products, including salon brands. By removing barriers, your follicles immediately improve. By doing this alone, you are maximizing your chances of keeping your hair in its best growing condition before it’s too late. Second, you are preparing your follicles to receive one, two…up to 17 or more ingredients that resonate to your genetic coding and follicles’ needs! If this is all you did, you will be ahead of the game starting day one! When you want not just the appearance of increased density and new hair growth, GrowOUT Shampoo & Strengthener is your best choice, now! By the way, ladies, no hormonal disrupters, here! So, no need to worry about more facial hair or other hair side effects! Every mass and salon product makes you want to believe their product is the best. And, for a while, you may even believe it is working. Then, again, here you are, looking for the best you can do for your hair. Maybe the active ingredient is effective, yet in the chemical base, it doesn’t make it to the destination properly….the follicle. The MAIN reason you will not find Belegenza GrowOUT in beauty supply stores, grocery or drug stores, or even department stores is that we will never make it inexpensive enough for “those places” to afford stocking it on their shelves. We always use the finest ingredients. Period. …..In a way that has each ingredient enhance the others! Like a luxurious gourmet meal, you must use the finest to deliver the best flavors, nutrition and the most exquisite experience. Finally, get what you want! Your best hair possible. What makes this completely different than anything on the market? Either way, aren’t you ready for this?…. longer, stronger, thicker hair? Now, faster growing hair begins by feeding your scalp nutrients…..not chemicals! Other shampoo and conditioner brands laden with chemicals, silicones, & other sophisticated-sounding ingredients cover and smother hair & follicles. Harsh sulfates and even sulfate free substitutes strip natural oils and disrupt growth factors. This keeps everyone fooled into buying empty-promise products. Trendy, inferior “argans,” moroccans,” and “oils of the month” splashed into big brand filler cyclomethicones (click here for a shocking list of derivatives to avoid) coat the hair & scalp, and also strip your wallet, as the MadMen-masters-of-illusion cover up the pennies-per-oz formulations with exotic marketing fluff. Everyone knows this. By understanding the marketing and mass market game, you will now know HOW and why the elite know authentic products like Belegenza are the obvious best choice! Rather than wasting time talking about chemical brands made to look like they work and are supposedly natural, let’s talk about how you can get results in a matter of 60 days, starting right away! By now, you realize that you have to take a chance on yourself. And, time is of the essence when it comes to CATAGEN PHASE follicles. This is the sleeping phase that can make your follicles go to sleep permanently…overnight! If you’ve already tried a bunch in the mass and salon, or even infomercial category, you already know the future…more loss, more shiny scalp, fewer hairs, and eventually permanently sleeping follicles…(yes, it is the “b” word.) Isn’t it time to find out for yourself? The predictable future is certain… mass market, salon, and infomercial brands have gotten you this far, and that’s all you can expect. Isn’t it time to at least devote 60 days to possibly re-awaken those CATAGEN PHASE follicles and restore them to ANAGEN PHASE (growth) follicles before you lose them forever? To get started with keeping your hair and possibly increasing your hair to previous thickness, you must take action now by using Belegenza GrowOUT to see a new future for your hair. What if you find out Belegenza GrowOUT is all that it seems to be, or even more? What if you only get 20% more hairs re-awakened, or filled only a part of your hairline or thinning spots? What if this is the thing that simply slowed down the thinning process by a decade or two? This would be worth it, right? The worst case is that you buy, use and get minimal results, and for whatever reason, slip back to mass market. At least you will now have your own experience, and know for sure that GrowOUT works. Your journey now begins with the right choice–GrowOUT! By upgrading your hair care regimen, GrowOut Shampoo & Strengthener gently cleanses (no salt or SLS, parabens, silicone, mineral oil, petrolatum, phthalates, etc.) & nourishes each strand of hair and follicle. For women (read more..menopausal), men (read more) and even children (read more), this ultra-safe combination of food-grade ingredients provides a powerful foundation for proper hair growth. No fillers, no gimmicks, no cover-ups. You save time and money by now using effective food-grade ingredients rather than constantly trying trendy undervalued ingredients in beautiful packaging. When your self esteem soars by knowing the difference, and when compliments are a daily occurrence, you will always be thankful you transformed your hair and your life with Belegenza. If you have thinning hair, brittle hair, fine hair, or even good hair, and you want to have it be its very best, GrowOut is now your solution. Isn’t now the time to experience the finest? Are you now ready for hair to be fuller, healthier, and thicker each time you shampoo? 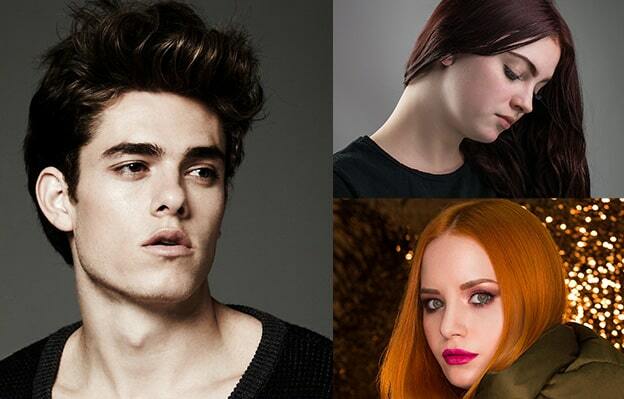 Aren’t you ready to feel confident about your hair? Use less – Get More : Concentrated GrowOUT LASTS! I just want to let you know how much I love your products. I don’t know if you knew that I was diagnosed with Valley Fever and had a rough two years. I was on such heavy duty medications that my hair was falling out in big patches. It was so bad that I had to wear a bandana to cover it. After using your products for the past year and a half, I am happy to say my hair has grown in beautifully and no need for bandanas! My girlfriend commented on how thick my hair is now and asked what I was using. I think she will now start using Belegenza also. Just wanted you to know how much I love your products and glad you are doing so well. 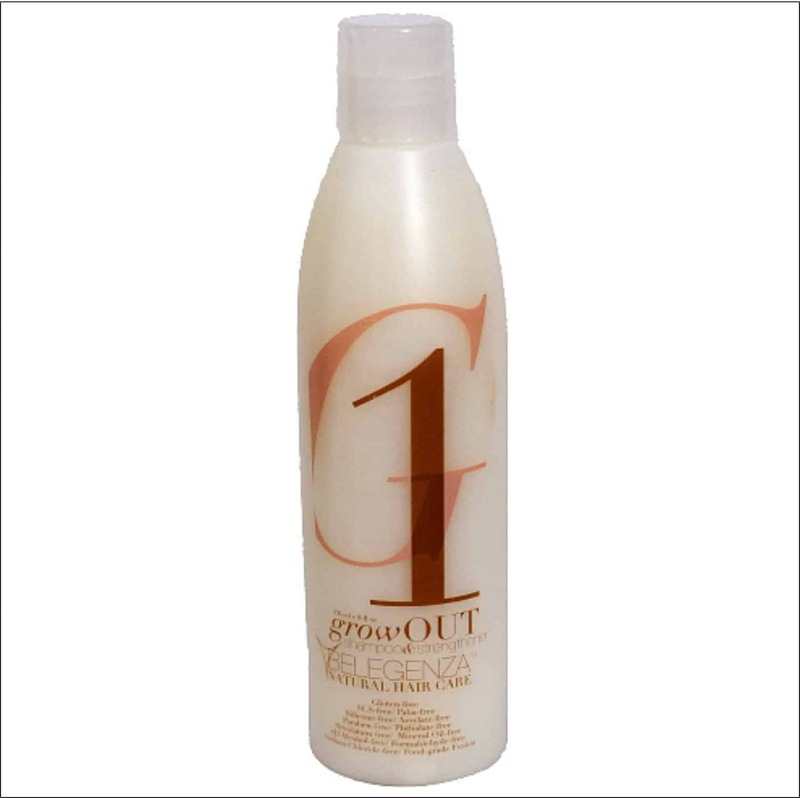 GrowOUT Shampoo & Strengthener may not create the bubbly effect that you are use to. Before applying, first thoroughly wet your hair. Women: Depending upon the amount of hair, apply somewhere between 1 to 3 tablespoons. Rub into the hair and scalp. Allow the shampoo to soak in for a couple of minutes. DraMatic or RoMANce Deep Conditioning Treatment. This keeps your scalp chemical free, too, enhancing overall results! This provides more nutrients to the hair, stimulating better chances for hair growth, and prevents tangling and lessens breakage. Maximize growth factors by applying daily…especially on non-shampoo days! Ready for 24/7 nutrition delivered daily without having to shampoo again? GrowOUT Scalp Energizing Spray is a must! Ingredient lists of each product can be easily found on its individual product page, near the bottom. Can it be used with other products? For best results GrowOut should not be mixed with other shampoos from other brands due to chemical barriers present in mass, salon and infomercial brands, and we encourage the use of Belegenza products for optimal results. Belegenza products are silicone free which allows hair to breath and promotes hair growth. Belegenza products insure purity on the scalp without residue that may impair growth and strength of hair. GrowOut may not lather much the first you shampoo because it has a conditioning quality to it and is very gentle in its ability to remove previously used product residues that may be impairing hair growth and strength. Shampoo 2 or 3 times to really lather it up. At 30 days, take note of new growth recognized as short “pointed ends” hair. I met Alan and Cheryl at an event. I fell into casual conversation with Alan that started with “so what do you do…” I was captivated by his story and journey that brought Belegenza into fruition. I didn’t try the Growout shampoo and conditioner at first. I ran into Alan and Cheryl 2 months later. Again conversation began and I realized that it was time for a change. The GROWOUT SHAMPOO AND CONDITIONER arrived and I couldn’t wait to try it out. In the first wash I was blown away with my results. I put it to the test and colored my hair (dark brown) first and used it on the first wash. The results I was looking for was that the color I had just put into my hair didn’t go down the drain. The second thing was that my hair wasn’t weighed down and third was that my hair really did grow out. I was thrilled with the results! The color didn’t go down the drain, my hair was full of life and body again AND it truly grew out. I was in the kitchen that night and my husband asked what I did to my hair. I asked “why.” He said “it looks like mink.” BAM!!! My step daughter told me later that I have crazy genetics for growing hair. I thanked her for the compliment and though… maybe, or it’s BELEGENZA! Now I just rinse and repeat with full confidence. I love you hate you! My hair is now so silky I can’t keep it in a bun anymore! I love washing my hair because I love the scent and how it feels on my hair. I have lesser falling out and I think I have less grey hair too or maybe just delaying it. Love these products because there is nothing to harm my hair in them. Been using them for over a year and will continue to keep using Belegenza as my only shampoo (Growout), conditioner, styling gel, and of course grow out scalp spray. And they smell so good too. I have only used the shampoo (GrowOut) & conditioner one time as I just received my shipment however that was enough for me to order more products! I bought an essentials kit for my daughter’s hair and the results were amazing. I will leave a review on the new products we ordered once the shipment arrives. (Cant wait 😀) I love that this company uses nothing but the best ingredients, is cruelty free and still delivers amazing results!! All three of these benefits is not easy to find. Highly recommend this wonderful line. I have only had the products (GrowOut) for about a week. I use them every time I shampoo. I have had wonderful results. My hair feels healthy, has shiny and is super easy to style. I highly recommend these products! I have a lot of gray sparklers in my auburn hair and the Belegenza products (GrowOut Shampoo)have done wonders in just one week. My hair is soft, bouncy and shiny. I’m letting my hair grow out a little and I’m hoping it will help keep my hair thick and less frizzy. Time will tell. Thank you for wonderful products. One of the reasons I first started using Belegenza (GrowOut Shampoo) was because I had so much hair falling out. At first I was losing a lot due to peri-menopause I think but then I really started losing tons of hair when I started taking low dose chemo shots for rheumatoid arthritis. I was losing so much hair that I would end up standing in 2 inches of water in the shower and have to clear the drain. After 3 months of use, I suddenly realized I wasn’t standing in a tub full of water anymore when showering. I would have shared this great news sooner but I thought this must be a fluke. Now, after 4 months of using Belegenza’s GrowOut Shampoo, I know I’m not losing tons of hair anymore! Thank you! You saved my hair!!!! Wow-follow up on the order! Thank you. All came in perfect shape, and quickly, just as promised. I’ve already called my salon in Pittsburgh to tell them how great it is to work with you! I have shoulder length grey/white curly hair. I love what the products (GrowOut Shampoo, DraMatic Conditioner, Taffy Styling Cream) do for my color, and for the texture. Many curly hair products clump the curls into stringy, hardened spirals, which makes strands already thinning with age, look sparse. But the Belegenza left my hair soft, full, shiny and with great silver definition! I have only used it twice, and am working toward the best mix of Taffy and Gel for my hair. Even so, I am thrilled with the products and service. I look forward to trying more products in this line. By the way…great second and third day hair!!! As a cancer survivor, who had no hair at all for over a year and a half while in treatment, you can imagine the hope that I had that would someday have hair again… I have hair and instead of coming in thicker than before, it is thin. I prefer natural products and so was attracted to your ad that I saw when checking my Facebook account. I have just now started using the products (GrowOUT Shampoo & Strengthener) and can already feel a difference in hair texture. Thanks for making a product that I feel safe using. I had the best hair cut ever this past month. Until I ran out of GrowOUT Shampoo. I got more and it completely revived my haircut again! Now I know that GrowOUT is my secret to the best haircuts. Thanks, Belegenza! Have been using now for over a year, my hairdresser commented last week on all the new hairs around my temple!!! I am “62” years old so having this product for my hair at post Menopause is important!!! I started using Belegenza products a long time ago and for some reason just stopped. Dumb thing to do. I am now just starting up again with 3 products that are simply wonderful. I have very curly and dry hair. I just received my GrowOut shampoo and it’s terrific. My curls have a better shape and my hair is bouncier. Also go their Taffy and that sets my curls and keeps them where I want them to be. I am keeping this short and sweet, but I highly recommend giving this product a chance. You won’t be disappointed! Awesome service. Belegenza rocks package delivered. Have a spectacular day. My hair is growing faster and the overall health of my hair has improved since I have started using the shampoo. I don’t have as much hair on the bathroom floor and I have less tangles breakage. I love the way my hair feels and looks thicker. I love this shampoo! I’ve been using it for over 2 years now and I wouldn’t use anything else in my hair. I was looking for a sulfate free product and this one is not only natural but my hair has never been as amazing as with Belegenza products! I began using Belegenza grow out the summer before my fall wedding. My hair had been falling out and piling up in my shower! In the first week – I counted only 9 hairs total lost! My hair grew like crazy and stayed healthy! I also let the shampoo sit for about 5 minutes on my hair (I decided on my own that it helps more). I did quite a bit of damage to my hair last year trying the no-poo thing (ended up with old doll hair). By the time I stopped, my hair was coming out in an alarming amount, more than it ever has. My brother got this for me as a Christmas gift, and I really didn’t expect it to do anything. Very soon after starting to use this, I was seeing all kinds of little strands of new hair growth sticking up. Very surprised. I also typically get a rash with mint products – the strong mint smell made me initially panic – but the mint they use in this did not irritate my skin. I am trying the Illustrious right now because of the cost and because I am more comfortable using that on my face as well (no mint), but this Grow Out may clean a bit better/use less per wash.
im in love with it!! My hair was so curly and frizzy from always starightening it. Being a teen (14 years old) It was hard trying to look decent with hair like it was.Now I love it better curly than straight! Congratulations! Thank you for letting us assist you. We understand how the hair loss spiral seems to sweep people away. Your great report makes us so happy! You have proven our theory and work… help people look great, grow hair, and feel fantastic and they will GET ON with life, loving and making a difference in the world! You ARE our vision! Thank you for trusting us and sticking with us to get great results. We’re so happy you had such a good problem! I love how you’ve found a way to manage your faster growth, AND using Simply Smooth to prolong the time between perms is so great! You and others are getting the best of all worlds, and growing longer hair that is healthy! We love hearing this, and your stylist is so happy, too! We’ve been in touch, and she loves you, and so do we! Thank you for making US look good! Here’s the good and bad. I went back to Illustrious shampoo because using the Growout made my hair grow too fast, and I didn’t want to have to get a perm so often! I use the Simply Smooth for my regrowth between relaxers, and it prolongs the time between. My hair has never grown as fast, nor been as healthy! Thanks for helping me feel great about my hair again. I have the finest, thinnest hair & it has been years of me trying different fancy products- I never do this but @Belegenza completely works! 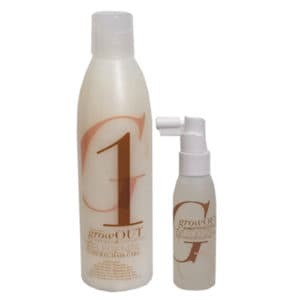 … Grow Out (G1) shampoo & strengthener and Grow Out (G3) scalp energizing spray. I feel like I finally have hair!! Big difference. Thank you so much! Your compliments keep us motivated to continue “reaching for the stars” and being true to our mission and commitment! Where do I begin to appropriately convey my appreciation for these products! I, like many women, have been looking for the perfect shampoo most of my adult like (I’m 52 years old). Belegenza GrowOut Shampoo is as close to the perfect shampoo as I have found. It is like gold to a person looking for hair growth regardless oh the reason why. I have recommended your entire haircare product line to countless people. The feedback I have received has been unanimously ‘excellent ++++’. 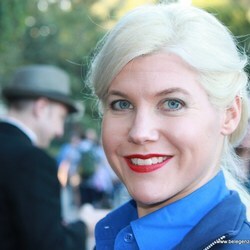 On a personal note: thank you for improving the overall quality of my hair from average to “the lady with great hair!”. It does not get any better than this! Don’t believe me?-Buy just 1 bottle. And a special thank you to Alan for redefining the meaning of ‘outstanding’ customer service. You know what? Belegenza…. They are the best. They absolutely saved my life. I was going under some major stress and my hair was, I thought it was falling out. They saved me! I have the growout, the kind that regrow, the shampoo and the conditioner and then spray this on your scalp and now it’s perfect…see now my hair…. It’s my best, it’s my best feature!! I was totally flipping out! They saved my life! I am 89 yrs. old and started using the product 2 years ago. I take it in my bag each time I go to the salon. I won’t let them use anything else on my hair, now! I had been told by my beautician that I was going to need a wig. My daughter told me to start using this, and since then my hair is fuller, and shiny gray, and healthier. I still wear my natural hair, and no wig! I simply took it to my stylist and shes uses it on me, and even she comments on how well it works! I especially happy because some of my hair grew back. I have to get more haircuts now, which is good and bad, because it’s growing faster. I started using this because I was getting such good results using the Growout Scalp Energizing Spray. I used to have psoriasis, and started using the GrowOut Scalp Energizing Spray. The psoriasis went away, so I stopped using it. But, the psoriasis came back. At that point, I started using it again, and now I haven’t any psoriasis for almost 2 years! So, now, I always shampoo with Growout a few days a week, and put a little bit of the spray everyday to make sure I keep my great results! Last fall I found myself again needing chemo therapy! I again lost my hair. I was always careful to wash my scalp with grow out to keep the hair follicles clear. After 6 rounds I was switched to another drug and told I would not lose my hair but it might thin. What I found was it stopped growing and shed a bit more than normal. Now I am finished with chemo and taking Hormone therapy. This has no ill effects on the hair. It has started growing like crazy. I alternate between grow out and illustrious. I use the nutritious spray treatment daily all over my scalp. It will still be a few months before I can go without a wig. Post chemo hair is peculiar. It could be a different color, different texture in places and cowlicks in odd places. Most return to normal In about 6 months to a year. Since using this product, I have noticed my hair does not get as oily between washes! My hair looks healthier, and my color doesn’t dull after use, like with other shampoos- it has stayed consistent. I switched to Belegenza GrowOut Shampoo & Strengthener about a year ago- My hair has never been healthier! I used to use the Nioxin system, because I wanted to grow my hair out, and because of dying, blow drying, straightening and such, my hair did not grow and when it did it was not healthy growth. I did not like the texture of my hair after I used Nioxin, and my hair showed no signs of considerable growth over the 2 year period of use. However, I have seen significant growth with GrowOut shampoo (4-5 inches in my first year). Not only is my hair growing faster, the overall health of my hair has improved. I see little to no hair loss when I brush my hair, less tangles, and less breakage. My hair is shinier, feels thicker, and has more volume than it ever has. I also do not have to do as much styling wise now that my hair is healthier, I only have to blow-dry my hair it now dries naturally straight (which is my hair type) I would absolutely recommend Belegenza GrowOut shampoo and feel it is more than worth the price!